Zambians are disturbed by Dictator Edgar Chagwa Lungu’s new found ideology of isolationism at this late hour in this age, where international economic cooperation and integration is a critical factor. 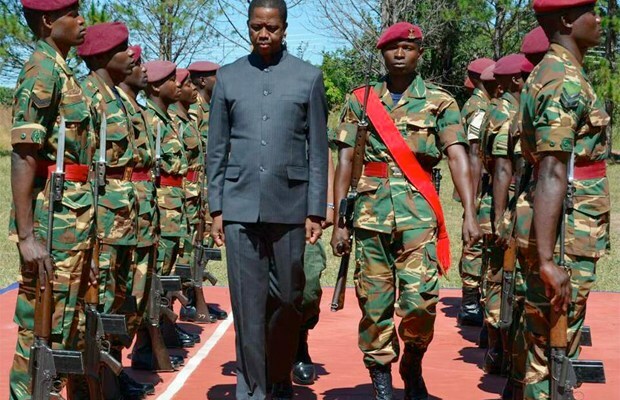 The remarks he gave in Northern Province’s Kawambwa District at a military parade, appear to suggest Lungu’s compass has lost its magnetic field. They are comments that exposes Lungu’s limitations in his knowledge of how the global economy works, and the consequences of isolationist policies. Lungu’s popularist rhetoric will not do this time around. We suggest that he draws lessons from the current American experience of “America First” theories, which have yielded no tangible results because of the interconnectivity of the World economy. The UPND warned Zambians that Lungu had no vision. His remarks in Kawambwa vindicates us and proves that the man is a gate crasher and a chancer. We really wonder whether Mr Lungu appreciates the purpose of regional bodies like SADC, COMMESA and the East African Economic Community. It’s precisely for the reasons of integration into economic blocks, that can harmonise trade for the benefit of their citizens, and also so that they can corporately absorb economic shocks, in situations where there is a Global economic turmoil. The notion that Mr Lungu is advancing that of building an economic wall around us, is simply not feasible and sensible. The adage that we are our brother’s keeper aptly applies in the economic World now, more than ever before. The resources our cooperating partners give us are hard earned tax monies of their citizens, and each penny must be accounted for to the same citizens. Donors would therefore not be willing to dish out money that will prop up dictatorships to buy guns for their police for the purpose of abusing and brutalising their own people, or money that will end up as bribes to enrich their families, friends and concubines. Mr Lungu must not now cry foul, that colonialists have come through the back door to interfere with court processes, and to tell him how he and his surrogates must behave. We all know how Mr Lungu has often openly threatened independent minded judges, through his spokesman Amos Chanda. He is the one with a log in his eye and not the donors who are simply calling for judicial accountability and fairness. Just yesterday Amnesty International issued a strong worded statement on Government’s abuse of the judiciary when they said, “Hakainde Hichilema and his employees are currently undergoing persecution through prosecution. The charge against them is a cynical ploy to silence all political opposition”. Amnesty International adds, “The Zambian authorities must stop misusing the criminal justice system to target and harrass the political opposition”. Well, these are hard facts on the ground, and the UPND has ample evidence of Lungu’s senior Government and Party officials, openly telling the courts how they should handle the Hakainde trumped up treason case. Mr Lungu must own up that he and his Government have lamentably failed to run the affairs of the State. We warned them that running Government wasn’t a kindergarten picnic outing, but a noble task requiring integrity, honour, honesty, transparency and absolute accountability. We will always demand for the unconditional freeing of our President Hakainde Hichilema, our senior party member Obvious Mwaliteta and all political prisoners locked up on trumped charges across the Republic.